The location of Belgrade makes it a perfect start for exploring the Balkan region. But there are different definitions of this region. In this wikipedia section you can read more about it. 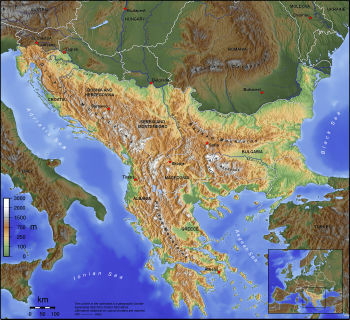 My personal definition would be, anything located less than 1000 kilometers from Belgrade. Of course this is not completely true. Somehow Romania is not part of the Balkan region. And Slovenians apparantly do not want to be associated with the Balkans (anymore). Whatever the correct definition might be, we will use this section to publish pictures and short stories of other countries and/or cities in the region to give you an impression of this very interesting part of Europe.